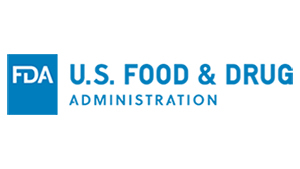 FDA has launched a new section of its Data Dashboard to help food importers, manufacturers and processors meet supply chain requirements put forth by FSMA (specifically FSVP, and the PC rules). The dashboard provides ease in finding compliance and enforcement information related to companies. The agency also made improvements to its supplier evaluation resources page and added it to the dashboard so that companies can simultaneously search several databases. Users can search for information about warning letters, import refusal and import alerts. The Foreign Supplier Verification Rule, part of FSMA, requires the importer of food to meet the same stringent guidelines found within FSMA’s Preventive Controls rule. Companies defined as the importer are now required to deploy a Foreign Supplier Verification Program (FSVP) that ensures their foreign supply partners are producing the imported food in compliance with processes that meet the FDA’s standards for preventive controls and safety. Companies importing food products must anticipate hazards associated with the imported food and evaluate the risk posed by the food based on the hazard analysis and the supplier’s record of compliance every three years or when new information comes to light. In general, these companies must maintain the integrity of their extended supply chain. 1. 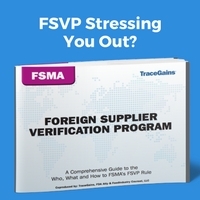 Are you considered to be the importer under FSMA’s Foreign Supplier Verification rule? Who controls the finances of the imported food? Who controls the goods? Whose truck picks it up or in whose DC is the product stored? 2. What comprises a FSVP? 3. Can you meet the FSVP challenge? 4. What is the CEO’s responsibility under FSVP? Senior executives in the extended retail food supply chain are personally responsible not only for their company’s compliance with FSVP, but also for verifying the compliance of their upstream supply chain. 5. Why is Now the Time to Take Action? 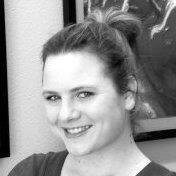 Implementing a new system with suppliers will take time. It is your responsibility to ensure you and your suppliers are in compliance by the deadline. FSVP compliance goes into effect for most companies at the end of May 2017. While we like to think of food safety as not being a competitive advantage, it can be used as leverage against the competition. So it’s critical to understand not only what the importer should be doing to comply with FSVP, but also what the supplier can do in advance to help the importer meet its obligations under the law.